Wow! What a fantastic weekend had by all on the good ship Morpheus as we celebrated 6 years on air with two magnificent shows BackIIBack. It’s the first time that we have had special guests two days on the spin but what better time to do it than on our anniversary to commemorate six years on air! On Part One of this brilliant pod-cast we rolled out the red carpet for two time Grammy nominated artist & the king of slow to mid-tempo jams, Mister Nice Guy himself, the incredible Mr Eric Roberson was LIVE in the playvybz studio talking music & life with host Ten Mill as well as dropping an exclusive freestyle jam alongside the one & only Lyrickal plus we also welcomed windy city’s soul-smith DMo Macklin to join in with the party! Part Two invited back close friends and family of The Morpheus Soul Show including The Godfather of Morpheus Soul with he’s sixth appearance in six years and always showing us love when ever he’s in town…Mr. Pugs Atomz was live once again in Brixton, alongside UK funkateer, Phat Boy and Mr Dirty Fyah himself…Greg Blackman who both concluded our celebrations with another fantastic LIVE freestyle session alongside the one & only Lyrickal! 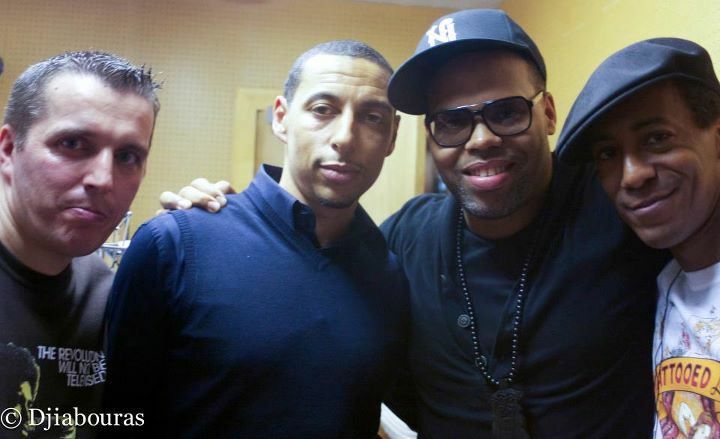 Our very special studio guest Eric Roberson goes into LIVE JAM MODE with an awesome freestyle session alongside The Temporary Residents very own Lyrickal and representin’ Chicago we welcomed Mr DMo Macklin to join in the fun…Good Times! Instrumentals by DJ Jazzy Jeff, Green Tea, Maddslinky & Zo! It’s that time once again for our special guests to get LIVE & DIRECT and Pugs, GB and Lyrickal set the mics on FYAH with a brilliant off the top JAM! 5. Vanessa Simon – Another Way [Tall Black Guy Remix] BRAND NEW ENTRY!!! 4. Colonel Red ft. Ursula Rucker – Gimme Me A Minute (Keep Walkin’) BRAND NEW ENTRY!!! Six weeks in chart and three weeks at the top spot, last weeks number one has fallen down to this weeks number three. 4th week in the chart and still a non-mover from DC’s finest. 2nd week in the chart and last weeks number three jumps to this Saturday’s BRAND NEW Number One!